What’s up homies! Today I have a simple, natural, no BS Chai Tea Latte recipe to share with you. There are tons of Chai Tea Latte recipes on the Internet. Some instruct you to buy syrups/powders and add it to milk – or even worst, use pre-ground spices (GASP). 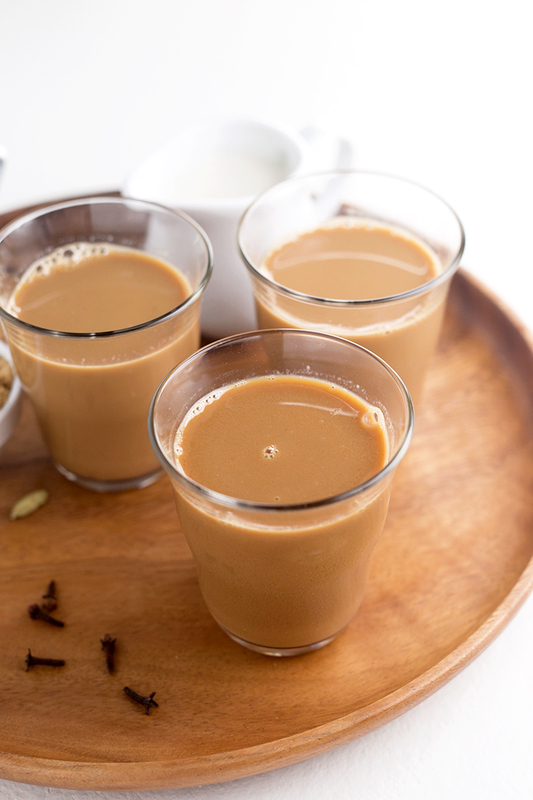 Others show you how to make a Chai Tea infusion that you can store in the refrigerator and add milk to whenever you feel like a cuppa. Regardless if you’re making a concentrate or a normal pot of chai, I noticed that a lot of recipes simply instruct you to drop spices into water and simmer for a short period of time before adding a sweetener of your choice. In my opinion, that is a complete, utter waste of your spices because you never will never get the most out of them using that method. This is why in my Chai Tea Latte recipe, I roast my spices (cardamom, black pepper, cloves, star anise, cinnamon) and grind them in a small coffee grinder before adding it to water with a hefty amount of ginger to top it all off. Trust me, the roasting and grinding is ESSENTIAL if you want to make a real, traditional cup of Chai. These extra steps literally make flavor bleed out of your spices like a murder victim. I promise, you will never go back to any of those trendy hipster shi*ty syrups once you’ve tried making your homemade Chai Tea Latte this way. Word. I enjoy Chai Lattes both cold and warm, and sometimes I even top it off with Coconut Whipped Cream (pictured). 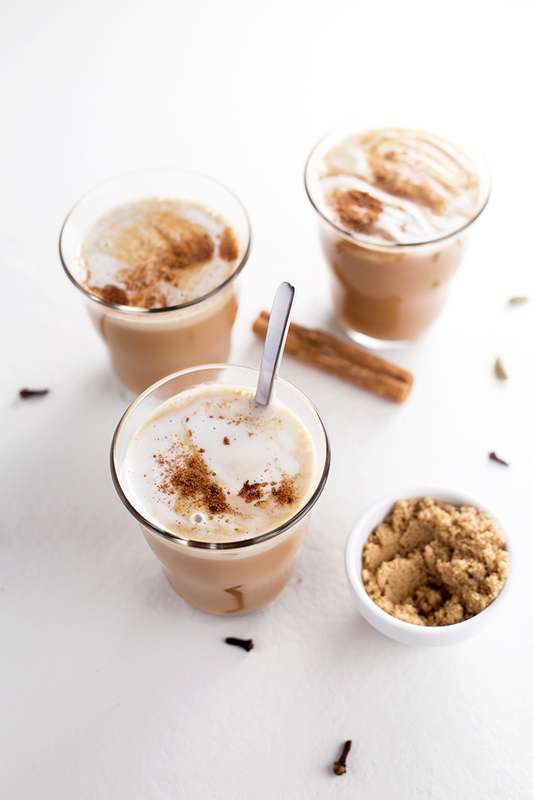 With or without whipped cream, this homemade Chai recipe is awesome. The freshly ground black pepper really adds a real kick to your Chai and reminds you that you’re not drinking no pu$$y a$$ cafe sh!t from the mall. 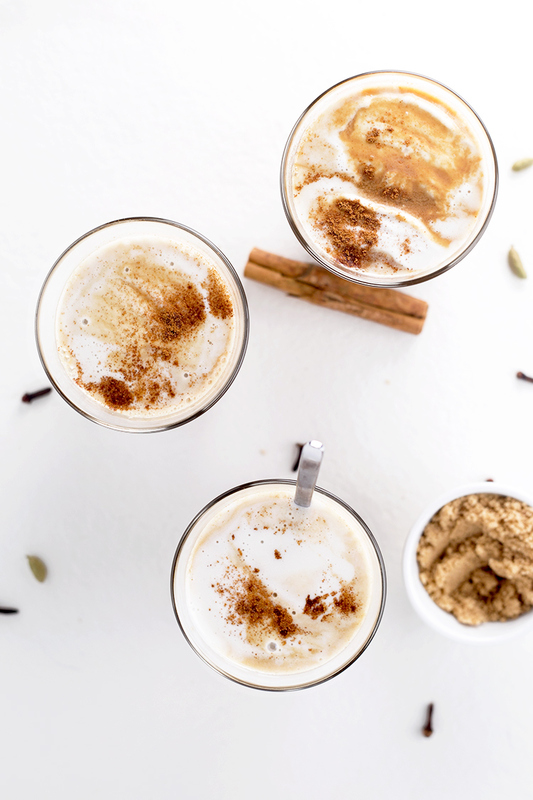 Made with Almond Milk and sweetened with Cane Sugar, this Chai Tea Latte recipe is also Vegan, Gluten Free and Refined Sugar Free. Winner winner faux chicken dinner. I’ll leave you guys with my Chai Tea Latte recipe. Let me know if you try it out (why wouldn’t you?). It’s inexpensive, natural, and pretty damn good. Trust me, I’m Indian so I would know… I literally have chai running through my veins. Duh. P.S. 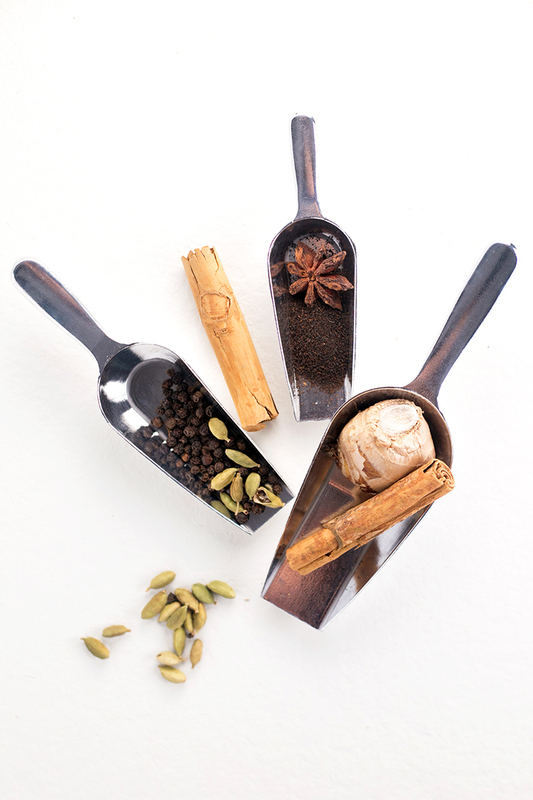 : Don’t be afraid of the crazy amount of spices in the recipe – the entire recipe makes almost 1 liter of Chai syrup. Feel free to halve the recipe if you don’t fancy a Chai Latte 3 times a day, everyday. Cheers! Homemade Chai Syrup made with freshly ground Ginger, Cardamom, Black Pepper, Cloves, Star Anise and Cane Sugar. Topped off with creamy Almond Milk for the perfect Chai Tea Latte. In a large saucepan, roast black peppercorns, cloves, cardamom, cinnamon, star anise over a very low heat for 1-2 minutes or until fragrant. Remove spices from saucepan and leave them to cool. 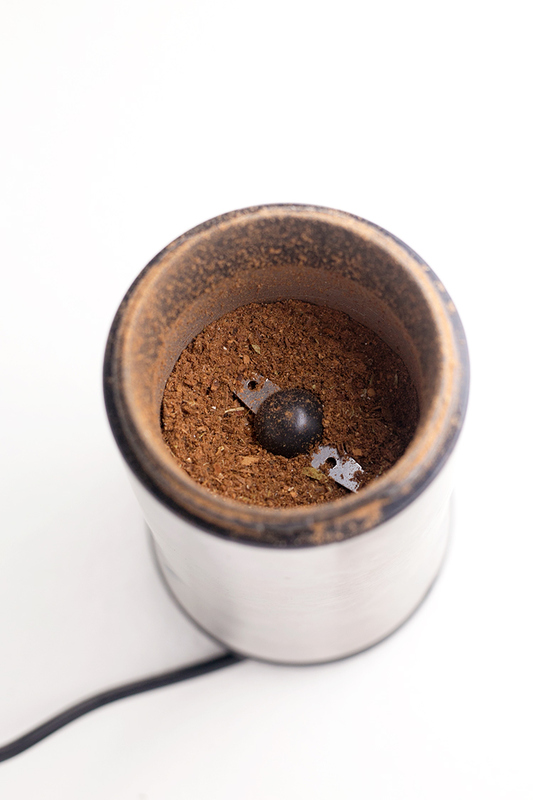 Once cool, grind the roasted spices in a coffee or spice grinder till a coarse powder is achieved (it doesn't need to be perfectly ground). 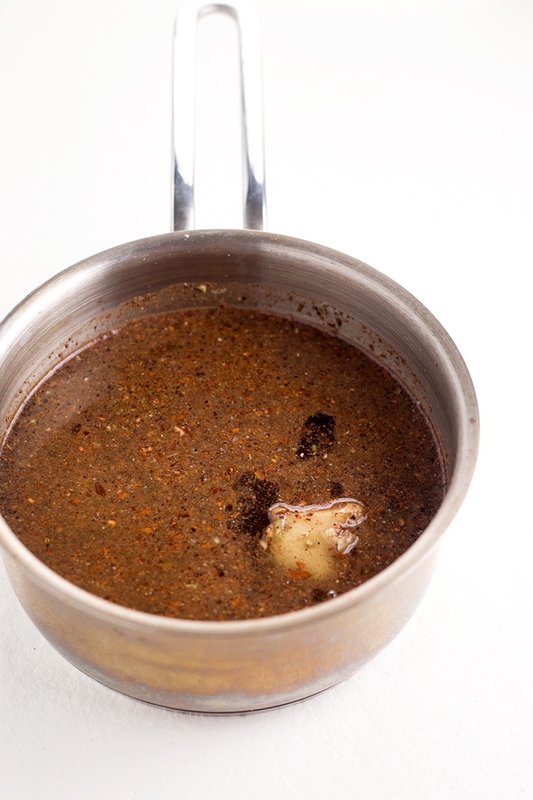 In a large saucepan, combine water, ground spices and ginger. Stir well and bring to a very gentle simmer. Cover the saucepan with a lid and let the ingredients continue to simmer for another 20 minutes. Make sure that the water never comes to a boil - you want gentle heat so that the spices don't go bitter. After 20 minutes, remove the lid and add your loose black tea into the pot. Turn heat off, stir and allow the tea to sit for 10 minutes to infuse. Once infused, strain the warm liquid into another saucepan. Use a fine meshed sieve so that none of the spices filter through. Add sugar to strained liquid and then put on the heat and bring to a simmer. Let simmer, uncovered, for 5-10 minutes or until the syrup has thickened ever so slightly. Immediately pour into sterilized bottles to cool. Once cool, keep in the refrigerator for up to 1 week. 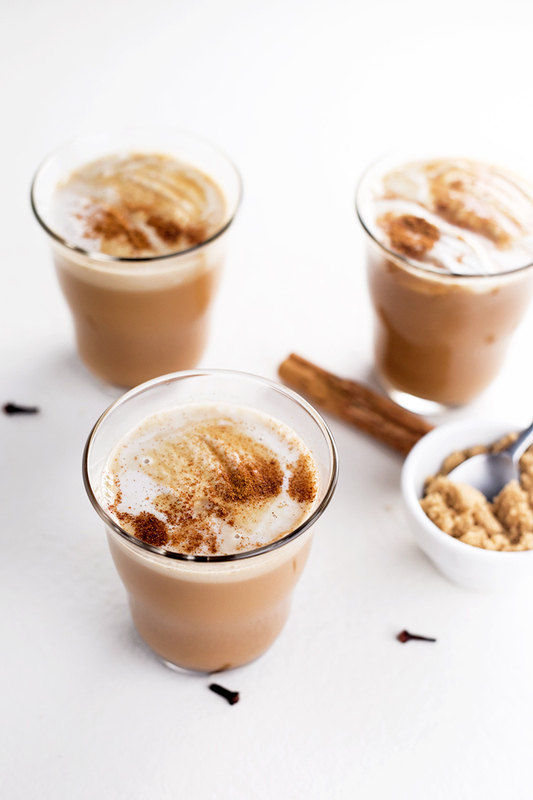 To make Chai Latte: For a warm Chai Latte, combine 1 part syrup to 2 parts almond milk and heat on the stove till warm. If drinking cold, simply pour 1 part cold syrup into 2 parts chilled almond milk. Stir and enjoy. Thank you for this fantastic post. I just finished my first batch. So very simple to prepare, so very tasty. You are right toasting the spices adds such depth of flavor. This will be delicious with spiced rum for the holidays. Thanks for sharing. Hi Nancy, thanks so much for letting me know what you think! So glad you enjoyed it. How long will this keep if refrigerated? About a week but it usually doesn't survive that long! You are such a ROCK STAR!!! 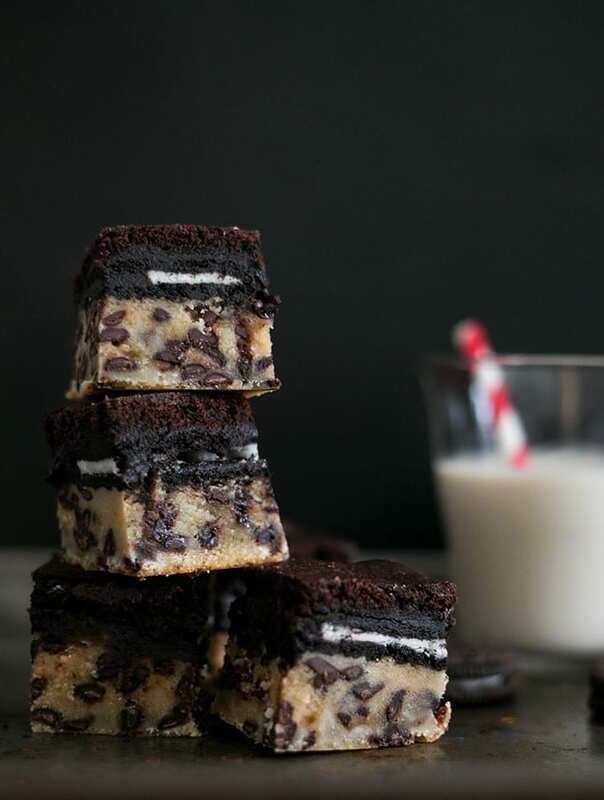 I am So in love with this Recipe!! I am a VEGAN who watches the Sugar content ! My Husband and Best friend love this as well!! Thank you so Much!! I Use Cocnut milk and Organic Coconut Sugar!! Thank You Again!! I can't wait to try. Silly question. Do you make the coconut whipped cream? if so, how? I am really new at this kind of thing, so my questions may seem like "duh" questions. How are drinks like these made with a "frothiness" on top? Thanks much. Where is the best place to buy your spices and the tea? Not sure if my local Wal Mart would have these spices. Hey Leona, you could try farmers markets or at Indian/Asian stores. They usually sell it cheaper as well! Looking forward to trying this after I finish my last batch of chai (that didn't turn out great, overboiled and bitter). A local bakery where I lives makes an amazing chai with orange peel, highly recommended ingredient! Noted :) will try that out next time! This sounds lovely! How long will this keep for? I'd like to make a big batch but am unsure how well/long it stores. About 5 days :) Hope this helps! You could try freezing it in ice cube trays too! Thanks for the recipe! I want to know how can I reduce the amount of sugar (1¼ cup Cane Sugar) or other healthier alternatives? Hey! You can definitely reduce the sugar amounts but the final product will taste slightly different. I use unrefined cane/raw sugar, but you can always try using Coconut Sugar (though it imparts a darker flavour to the final drink). Hope this helps! Thank you, Brittany! So stoked you enjoyed it! Looks super delicious Amrita. Always learn so much on your site. Would have never guessed roasting. Great tips, beautiful photos! The. Best. Chai. Ever. Seriously. I can have my Starbucks chai latté without ever leaving the house. In fact, I may never have to leave the house ever again. It's ridiculously easy to make, and you can (but why would you? this is perfect!) adjust the spiciness of it. Many thanks for sharing! That is so awesome, Denise! I'm super happy you liked the recipe! I love the amount of spice too :) Sometimes I even add more ginger if i'm into self torture. I haven't made it in a while, but I'm gonna redo the photos real soon, these ones are blah! I've never thought to roast and grind the spices! I'm sure it makes such a huge difference. And I do fancy three Iced Chais a day so it's the full recipe for me! You're welcomed Claire! Glad you enjoyed it. :) Plus, it's relatively cheap to make (cheaper than Starbucks anyway!). Loved the smell of brewing chai too -- almost beats coffee.... well maybe it does, haha! Glad we can be of service! . It's very effortless to find out any topic on web as compared to textbooks, as I found this post at this site. Thank you so much, that is a lovely comment! 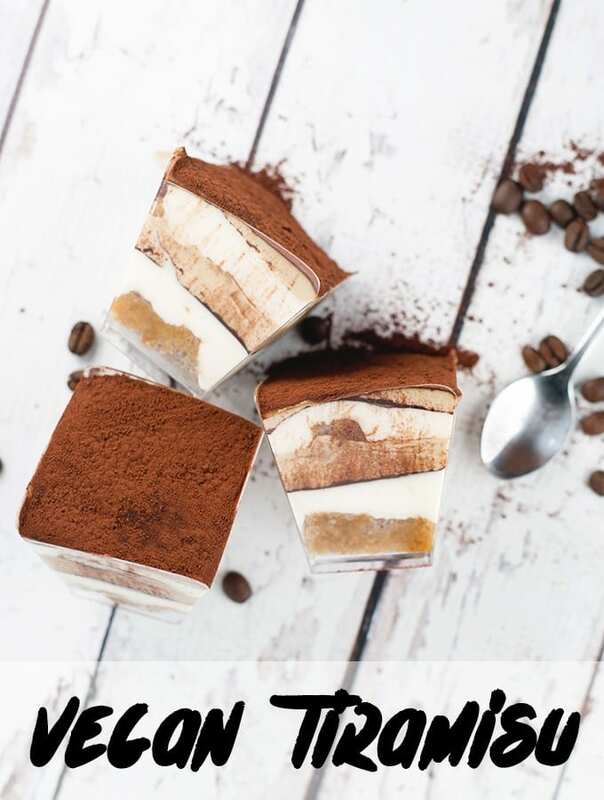 This recipe is so amazing! I love chai tea, but have never made it from scratch this way. Thanks Alisa! Levan has made me make this about 8 times since posting - I'm thoroughly sick of grinding spices LOL! Do give it a go though, its yummy and has a real kick to it. I am a redneck from southern Illinois who has never cooked anything other than steaks on a grill. My beautiful city-girl girlfriend is in LOVE with these "venti ice chai tea lattes" from starbucks. I have only ever even heard two of those words when she first asked me to get her one. I went to starbucks, ordered her drink, and a pepsi for myself, just so you know my level of experience with these things. Anyways, it was expensive as hell, so I looked up on Reddit how to make my own, and found this post. I'm glad I did cause I made it for her, it was easy, and she was so happy with it. Said it was the best she ever had. So, thank you! This is perfect, I love chai lattes! Yours looks so refreshing, beautiful and delicious, I am in love ❤️ Pinned for later! WOW! impressive! I have never made my own Chai! this is some really good-to-know info pinning this! Thanks Vanessa! AND IT'S SO GOOD TO HAVE YOU BACK! :) You should give Chai another try. Maybe you had a dull batch of them in the past, or something wasn't brewed right? Chai is my SECOND favorite tea ever, next to Teh Halia (from South East Asia). Thanks Ceara! YES YOU DEFINITELY MUST GET INTO CHAI, haha! Did you not like it the first time you gave it a go? Gloria wants her jeans back. Gloria drank too many Starbucks drinks and can't fit into her jeans no more. :D P.S. Glad you finally got down to unpacking in New York and settling in, Arman! How's the weather??? . I love Chai and make my own version too as it's so much better than the store-bought. This is so summer-perfect! Love it! Hey there Abigail! I'm with you there! There are SOME store bought powders that aren't too bad. But they tend to be either too sweet / not sweet enough or lack the 'spicy kick' of a strong solid brew of Chai. Homemade Chai Syrup, anytime! How do you usually go about making your Chai? We'd love to check out your recipe and give it a try! Feel free to drop us a link so we can visit. :) . yum! and so much cheaper than Starbucks! Hey there! Yup, definitely much cheaper!! And better flavored too (Although Starbucks does a great job!). There's something lovely about waking up to a nice steaming cup of Chai without having to leave the house, heh. :) . Totally agree Lucie! You're the master of DIY posts by the way. We've learnt a ton of interesting stuff from them. And that Matcha Chia Pudding looks AWESOME by the way! . Thank you Susan! I totally agree with you there - the spices used in Chai Latte smell and taste great! And nothing beats a good roasting. So much better than the powdered stuff you can get in stores. Every time we roast a batch of Chai syrup, the house always fills with this lovely smell that even our cats love. Yum! . I'm with you, I like ICED. even in the winter, ICED. 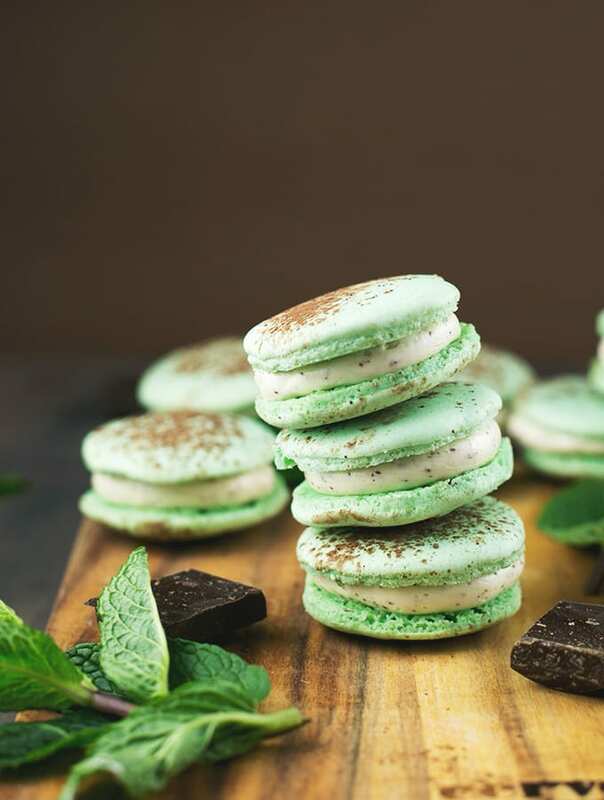 currently I am going back and forth between chai and matcha... this sounds phenomenal! Boo!!! Everyone knows a steaming cup of Chai Latte is better than an iced one, Kristina. :P Actually, I like them both, heh. ESPECIALLY when Amrita amps up the ginger to the brink of "Oh this is too much!". This recipe is the subdued ginger version, but I like to customize the taste to the point of being painful. But that's just me, LOL. . Thank you Ashley! :) . I've wanted to try a chai latte for ages now, but was always hesitant to order one - but I'd definitely be game for trying one at home. And now I know how to do it :D Great tutorial! Hey Chrisy, thanks for stopping by, and we love your blog by the way (left you a comment the other day!) WUHT?! You've never tried a chai latte? Okay you need to correct this ASAP and unlock the hidden treasures of life! I love coffee to bits. Really. But I LOVVVEEEE Chai, always have, always will. Let us know what you think of it when you finally give a chai (any chai!) a try! Please :) . I would like to join in the hair-flipping Maya! LOL. Only I'm not Indian, but I do have long hair, very flippable stuff! I also miss Teh Halia a lot. That's the only tea I can think of that gives a good Chai Latte a run for its money! . In the spiel before the recipe you specifically state "Trust me, I'm Indian" so I'm confused...great recipe though. Perfect timing!! My mother-in-law loves Chai Lattes from Starbucks, so I could make this as a substitute for her! Hey Kacey! Glad we could help. Please let us know if your mother-in-law likes it. She has great taste in tea by the way! Heh. . Oooooh.....I'm so going to try this! I had a recipe I used years ago and LOST it! This will help kick my Starbucks habit! Cheers! You're welcomed Barbara! To be fair though, Starbucks does makes a mean Green Tea Frappe :) I used to drink it before going vegan. Still, nothing beats a solid cuppa Chai with that wonderful ginger kick! . Not a problem! Please let us know how it goes. It doesn't take too long to prepare as well, and just a little bit of spice goes a LONG way! . We hope you give it a try Ashley! 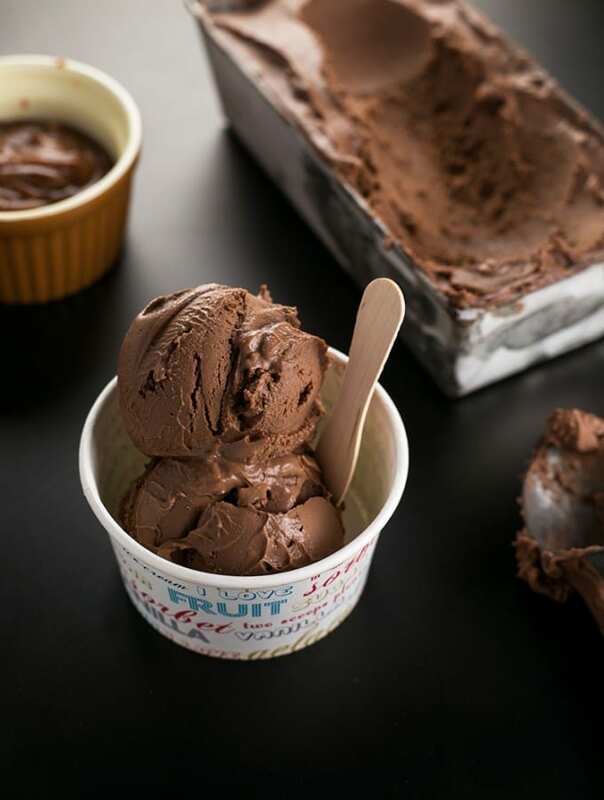 And by the way, LOVE that pudding of doom idea :) How did you come up with such an apocalyptic name? Cause it RULES! . I'm so excited about this recipe! I love Chai Lattes! Your pictures are gorgeous, by the way! My small coffee grinder bit the dust a while ago and have yet to replace it. I used to grind all my nuts and spices in there. I MUST get another on ASAP! Definitely! Ya know, I've tried lots of store bought Chai products... but NOTHING compares to the real homemade stuff. I especially find that the stuff on shelves loses a lot of that gingery 'kick', which is my favorite part of drinking Chai. How do you like to have your Chai? :) .